From Roberto Coin, this amazing Pois Moi necklace will bring a contemporary edge to your style. 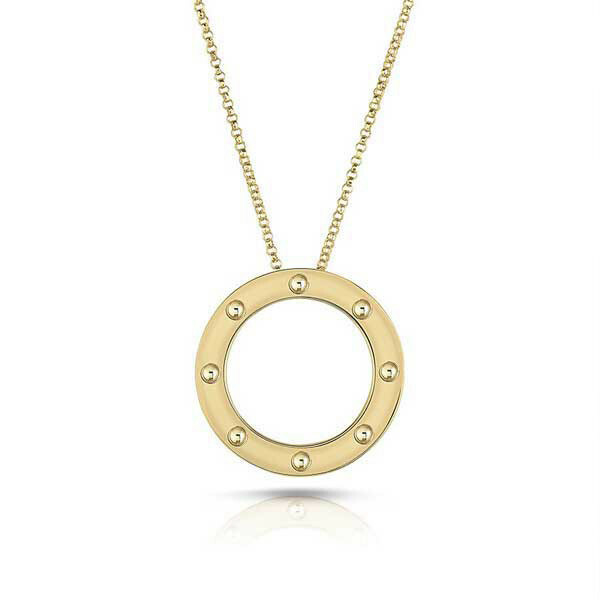 An open circle perforated with dots creates the fabulous 18kt yellow gold pendant that floats along an adjustable link chain to fall at the perfect spot on your neckline. This Roberto Coin necklace will give your look a geometric pop.